Composting kitchen scraps and food waste reduces greenhouse gas emissions by emitting significantly lower levels of methane than that same food waste would emit in a landfill. Since food waste makes up a large portion of household trash, composting it also provides benefits in terms of household bills and the energy required to transport waste. 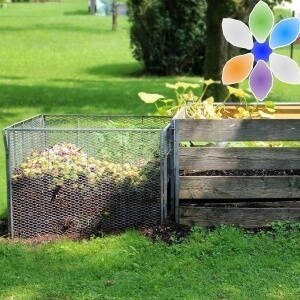 Using compost in your garden also benefits plants in several ways, such as providing nutrients to the soil, improving soil drainage, retaining water, and reducing erosion. Of course, even better than composting food waste would be trying to eliminate food waste altogether.